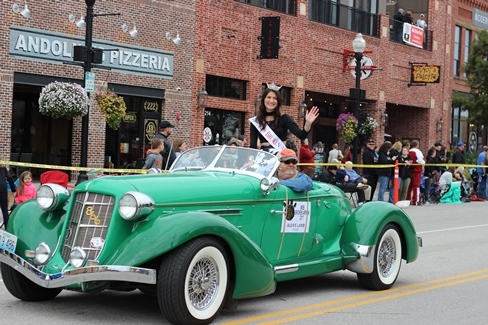 In keeping with tradition, the homecoming parade is Tuesday, Oct. 2, at 5 p.m., and will feature floats and displays from student groups, BA athletes and community members. The parade begins on Main Street at 1st and College and concludes at the Education Service Center/BAPAC. If you’d like to participate in the annual parade, please complete the parade entry request form. The deadline to register is 3:30 p.m. on Thursday, Sept. 27. On Thursday, Oct. 4, Broken Arrow High School will host its annual homecoming dance. Tickets will be on sale for $15 the week of the dance or $20.00 at the door. The homecoming dance entry is included in the student All-Access pass, which can be purchased in the high school’s Student Union for $80. The excitement continues at Memorial Stadium on Friday, Oct. 5, as the Tigers football team hosts Westmoore. Kickoff is set for 7 p.m. During the game, a special ceremony will recognize the 2018 Great Graduates. These individuals have brought honor to their community and alma mater through personal and professional accomplishments. For more information on this year’s homecoming events, please contact the high school’s student activities office at 918-259-4569. For information regarding football tickets, please contact the athletics office at 918-259-5900. Are you a BA alum? We want your photos! Email a picture from your BA glory days to BAcommunications@baschools.org with “Homecoming 2018” in the subject line for a chance to be featured on the district’s Facebook page.